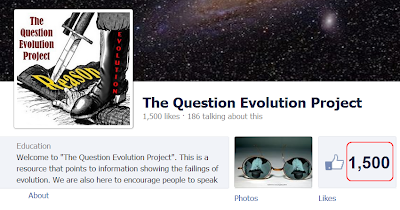 "The Question Evolution Project" began on Facebook late January of 2012. We've climbed up to 1,500 "Likes" in that time, and only 1,000 of those are my spare accounts. (That's a joke. 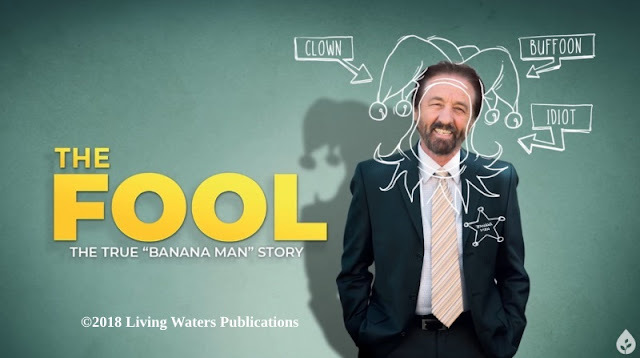 No refunds on the jokes.) 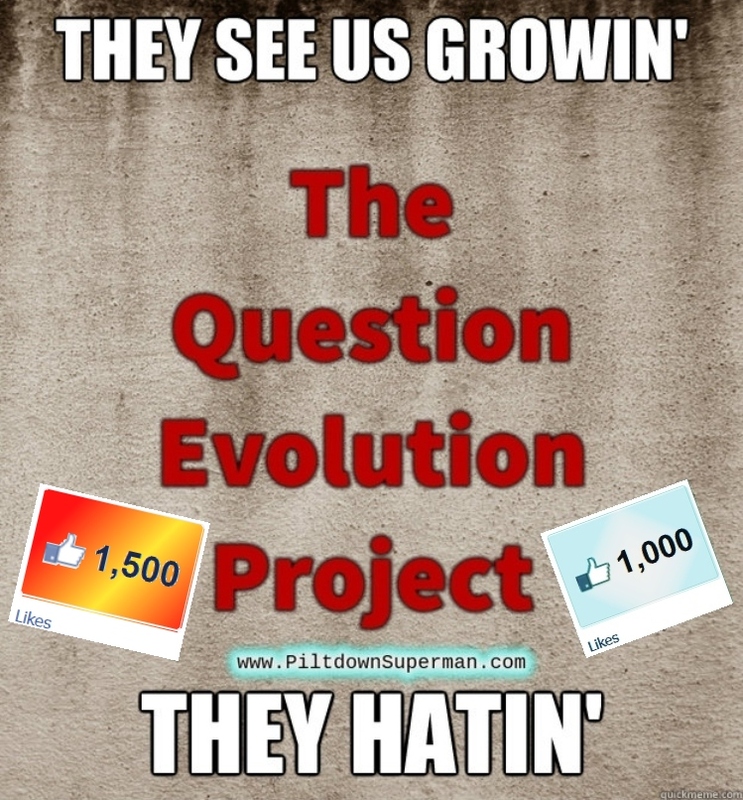 The future looks bright, creation science is growing, the truth about the folly of evolution is being proclaimed and the Creator is glorified. 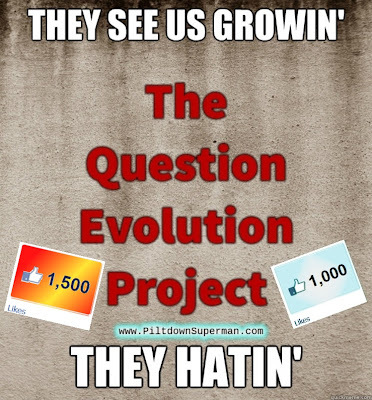 We have haters, defamers, libelers — it happens when you go against evolutionary dogmatism, as the big name creation science organizations know full well. This kind of evil never sleeps. On we go!